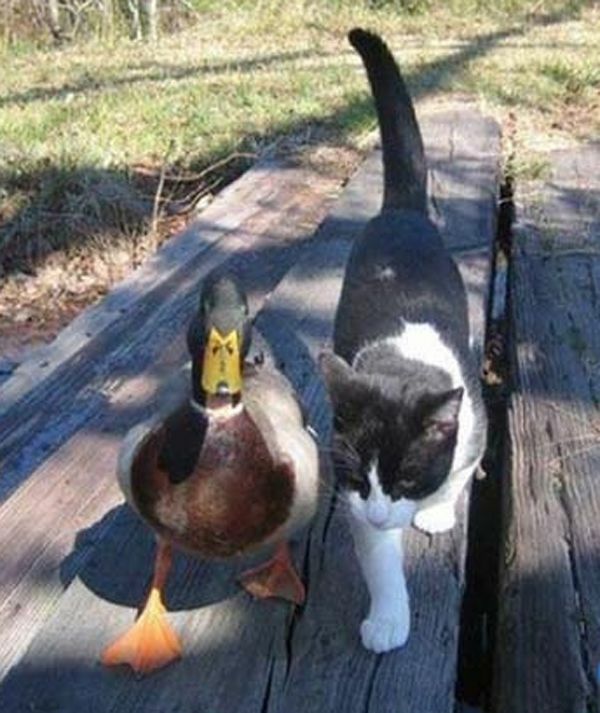 This entry was posted in Animals/Birds, Pinterest and tagged Cat, Duck, friends. Bookmark the permalink. Hope you-ll have a nice day! I agree. Adorable. They are friends and hang around together. So sweet. AWE ME TOO! A LOT! ❤ Yay for all friends in all sizes!